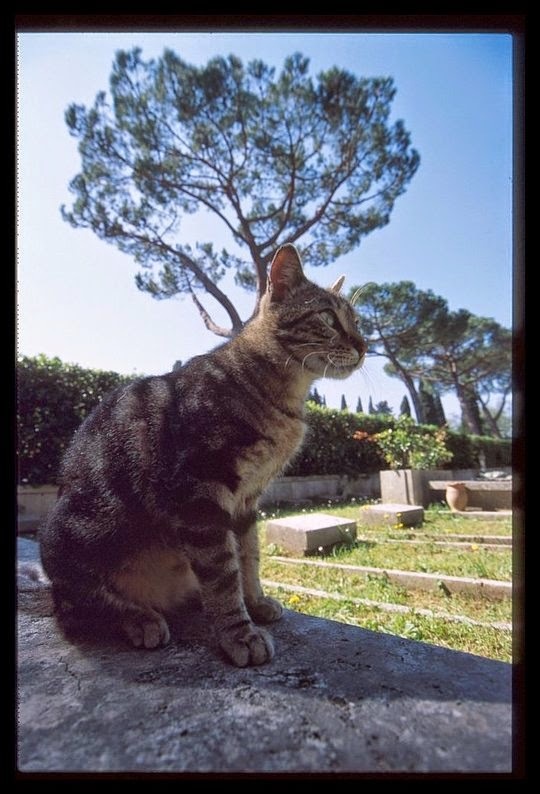 Traveling cats spotted at the Campo Verano Catholic Cemetery in Rome, Italy. Founded in the early nineteenth century, the Campo Verano is divided into three parts: the Jewish Cemetery, the Catholic Cemetery, and the monument to the victims of World War I. Great looking cats. Have a wonderful Wednesday. I love how you get down at their level. That's the best way to shoot animals. 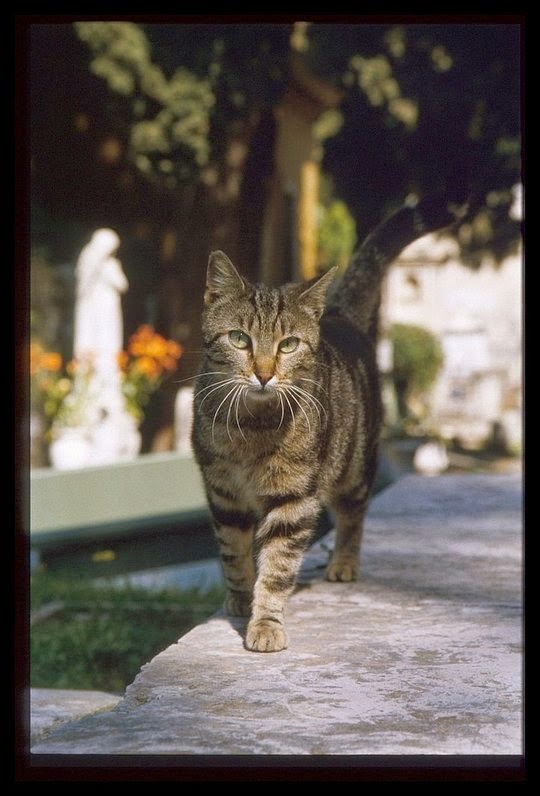 I wonder if there are a lot of critters in that cemetery because these kitties look well fed (which is great). They sure are pretty and handsome. I really enjoyed seeing all these pictures. They sure look well fed. Beauties! Here's my attempt at Italian -- "bella gatti!" They look in really good shape. Someone must be carin' for 'em, makin' sure they get enough to eat and that, my friend, warms my heart, for sure. They're all so gorgeous. We do seriously love all those sweet faces! 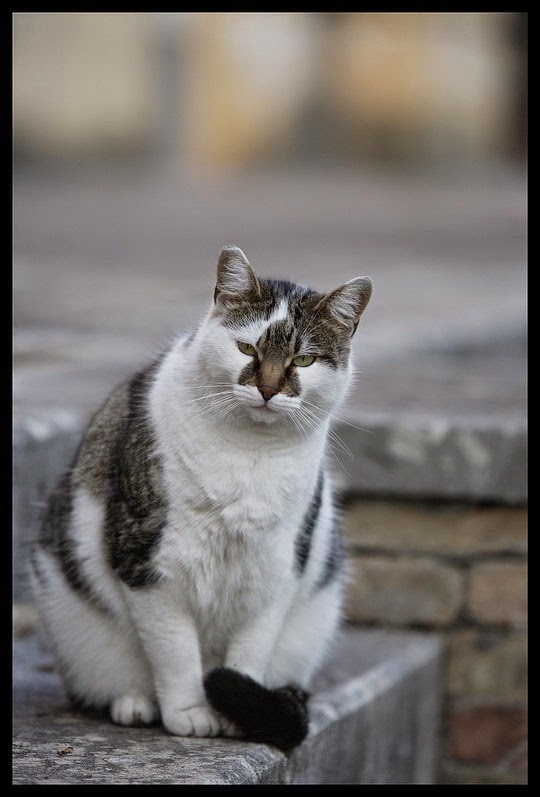 It's great that the Italian cats are so clean and well-fed looking. I wish they were that way here. 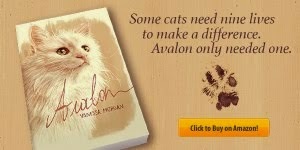 What beautiful kitties and great pics! I especially love the third one from the bottom, with flowers. Those shots are fabulous! Especially the ones framed by greenery, but all of them, really. I loved the tombstone one--all in order for Halloween, right? I love the pattern on all of their coats. And the one yawning at the end is adorable. 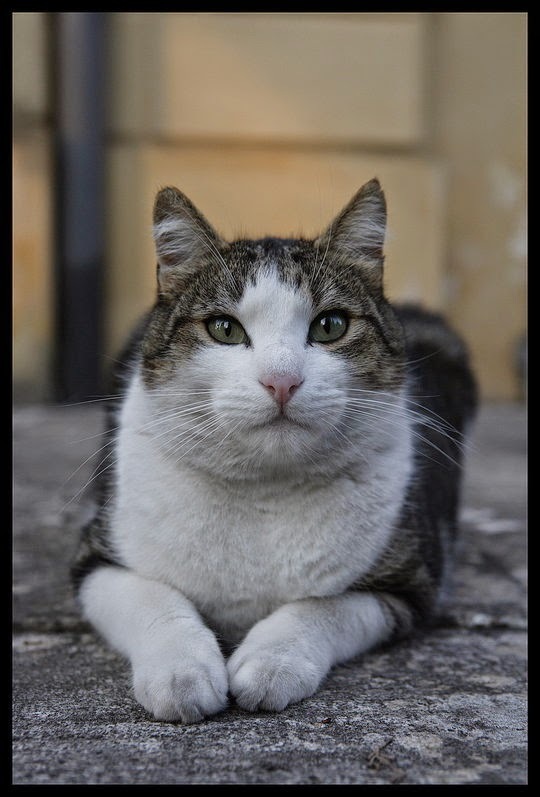 Beautiful photos of beautiful cats! Merci pour cet instant Vanessa. Aww the tabby in the fifth picture down looks so much like my old cat Thomas! 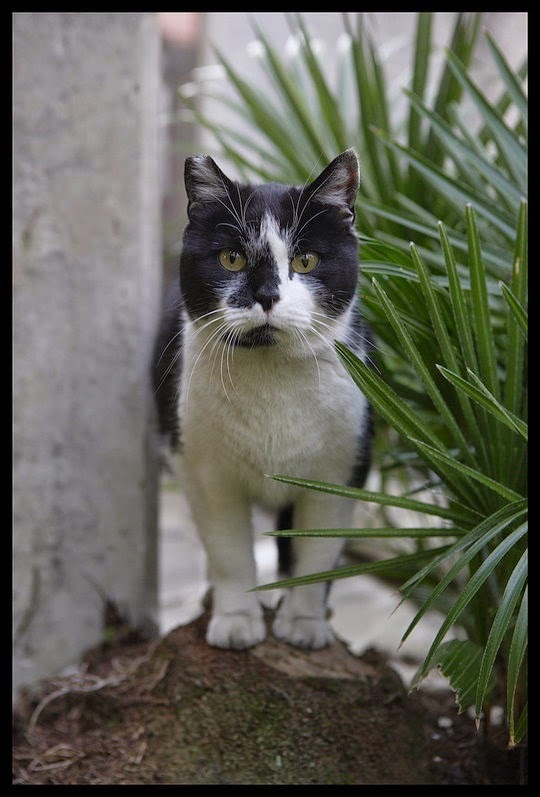 He was one of the sweetest cats I've ever had. I am terrified of cats. Every. Single. Cat. I'm impressed you could so easily find them! Such an original idea! Somebody looks after them really well! I am in love with all these photos!! The winking one and the yawning one are so cute! Haha the winking cat is great. 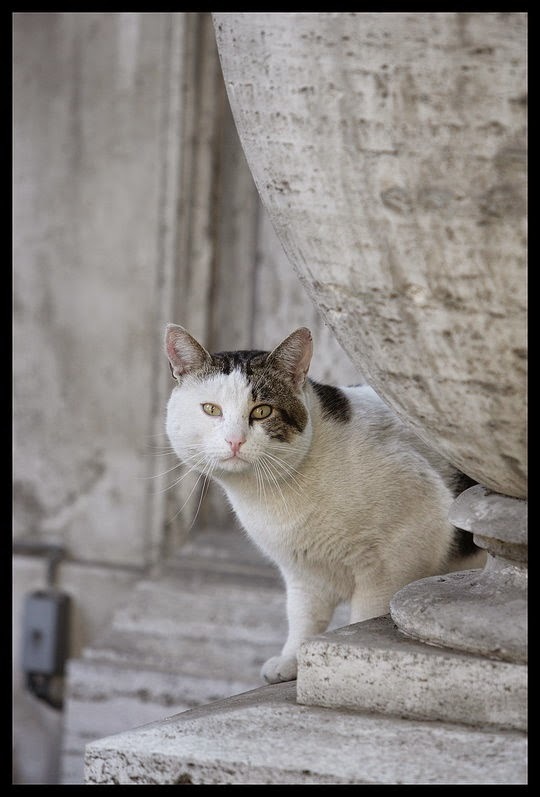 Great photos - we love the cats in Rome! Oh what cute kitties, I love cats. That's a wonderful collection of photos. 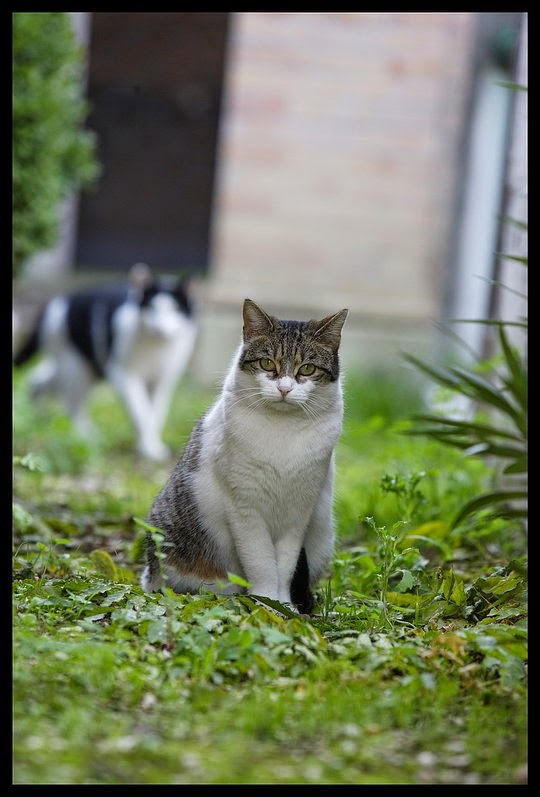 Beautiful cats, scenery, and compositions. Love looking at your cat photos! How did you get the cat to pose like that? LOL. These are some great photos. I love the ones that have distinct features on their faces. SO cute! 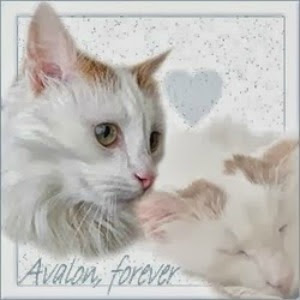 What gorgeous kitties and photos...some of them remind us of our Angel Inka. I'm definitely a cat lover, what beautiful photos! LOL! So many cute kitties! So many beautiful cats! I love how they all have different features, like different shaped eyes/bigger heads/etc. Awww! They're so adorable! I love your photos! Such beautiful markings on all of them! Great shots! 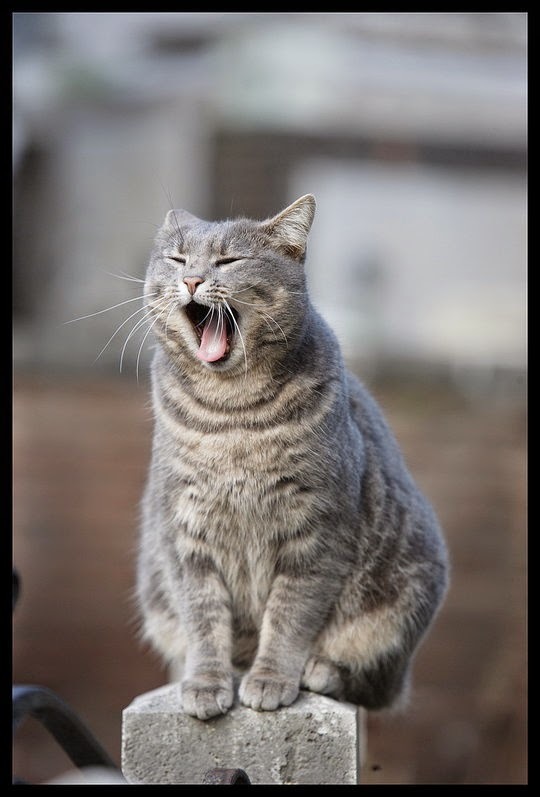 I love that cat that's yawning! They aren't shy at all! Beautiful shots! I love kitties. Have a terrific day! So not a cat person BUT those are some AWESOME shots. All of them are gorgeous! They look very well fed and taken care of too. Beautiful kitties! The last one looks a lot like mine!